Steve is a highly experienced and popular trainer, speaker and coach. 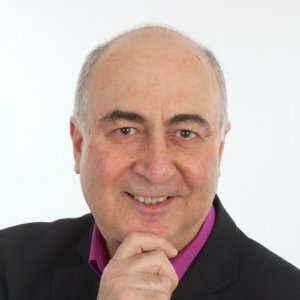 He spent many years in the data and telecoms sector, before transitioning to the commercial side of the IBM UK business as an account manager, and eventually a trainer. Steve then set up his own consultancy practice in 2009 as an independent business trainer and mentor, since when he has provided business training, master-classes and mentoring on sales, networking skills, customer service, sales awareness for IT professionals, business strategy, networking, presentation skills, communication and influencing, leadership and personal effectiveness to more than 600 clients across a wide range of private and public sectors including IT, sales, accountancy, education, HMRC, healthcare, and business consultancy. Inspired? If you’d like a telephone call with Steve to discuss your sales training requirements, simply give us a call on 01582 714285 and we’ll arrange it for you. We’re here to help!